This entry was posted in Past Events on August 17, 2014 by Brian Schwartz. Burnet will draw on thirty years’ experience at the cutting edge of science communication to illustrate and explore how it has evolved and where it might be heading in the future. This entry was posted in Past Events on July 10, 2014 by Christopher Silsby. Edith Hahn and Lise Meitner discuss the bomb, the Nazis and Otto’s Nobel Prize as an imagined friendship blossoms between the scientist and the artist. It’s 1945. 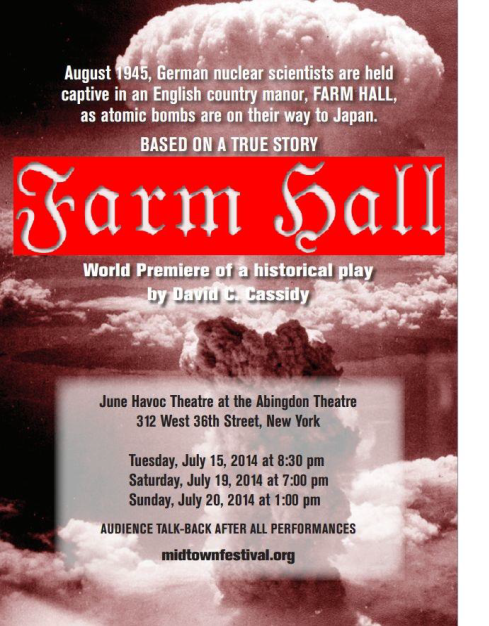 As atomic bombs are on their way to Japan, five top German nuclear scientists, along with their British handler, are held at an English country manor, Farm Hall. Join us for the world premiere reading of this new historical play by David C Cassidy (Hofstra University), Prof of Natural Science and award-winning author. Reading by Break A Leg Productions. Join us for a 3-day conference featuring lectures by and conversations among twenty-five mathematicians, artists, art historians, philosophers, and architects on the “criteria of simplicity.” Each day of this conference will feature talks and roundtable discussions interspersed by screenings of films by artists Andy Goldsworthy (NY Premiere), David Hammons, Richard Serra, Andy Warhol and William Wegman. A schedule of the events is in development at the conference website. This new play (by Vince LiCata) is a semi-absurdist, cinematically stylized re-telling of the discovery of the structure of DNA. Both historically and scientifically accurate, the play raises the question of who should have received credit for this discovery. Directed by Gerald vanHeerden and read by Break A Leg Productions. First come, first seated – very limited seating. An innovative dance-multimedia celebration of the story and search for gravity waves at the Laser Interferometer Gravitational-Wave Observatory (LIGO). AstroDance blends dancers, narration, multimedia imagery and film to create an audience experience that is both educational and entertaining. Performed by dancers from the National Technical Institute for the Deaf, Rochester Institute of Technology. Conceived and created by choreographer Thomas Warfield. Almost simultaneously, in the first decade of the 20th century, Albert Einstein discovered relativity and Pablo Picasso cubism. Arthur I. Miller (History and Philosophy of Science, University College London), author of Einstein, Picasso, discusses their often turbulent personal lives, the high drama of their struggles to achieve new ideas in the face of opposition from contemporaries, and the unlikely sources for their creative leaps. David Gruber (Biology and Environmental Science, Baruch College and the Graduate Center) will explain the science of biofluorescence, from glow worms to coral reefs. Filmmaker Cameron Gainer will introduce and screen his extraordinarily beautiful short film Luna del Mar, shot in a bioluminescent bay. Inspired by the American Museum of Natural History’s current Creatures of Light exhibition. In the not-too-distant future, a genetically inferior man assumes the identity of a superior one in order to pursue his lifelong dream of space travel. Following a screening of Andrew Niccol’s critically acclaimed film (1997), a panel will discuss the ethical issues raised in the film. In his riveting nonfiction book The Brother, now adapted for the stage, New York Times investigative reporter Sam Roberts returns to the 1950s Cold War treason trial and execution of suspected Soviet spies Ethel and Julius Rosenberg. The evening will feature a reading from the new play, directed by Ian Strasfogel, followed by a discussion of its endlessly fascinating subject matter. Miciah Hussey (English, GC CUNY). In her new book, A More Perfect Heaven: How Copernicus Revolutionized the Cosmos, bestselling author Dava Sobel (Longitude, Galileo’s Daughter) brings us a portrait of Copernicus’s scientific achievement against a background of religious and social turmoil. The evening will include a performance of scenes from a play Sobel has written about Copernicus in conversation with a mathematician. Play reading by Break A Leg Productions. Would “Survival of the Fittest” be better termed “Survival of the Beautiful”? David Rothenberg will discuss how nature often seems to favor beauty, whether it is in the constructions of the bower bird, the fantastic tail of a peacock or the song of a nightingale. Animal behaviorist Ofer Tchernichovski will speak about the dynamics of vocal learning and the glories of birdsong. The event will conclude with an excerpt from the extraordinary film Proteus (David Lebrun, 2004), which tells the story behind Ernst Haeckels’s dazzling illustrations of radiolaria, among the earliest — and arguably most beautiful — forms of life. How do state-of-the art technologies augment the artist’s imagination in the 21st century? Presentation by Suzanne Anker, co-author of The Molecular Gaze: Art in the Genetic Age, visual artist and theoretician. A screening of the classic feature Flatliners, which explores the realm of the afterlife. Followed by a panel discussion moderated by Jad Abumrad, with legendary filmmaker Joel Schumacher and physicians Benjamin Abella and Christian Macedonia. A reading from W.S. Gilbert’s Pygmalion and Galatea (with Laila Robins and Arthur Aulisi) will be followed by a discussion on gender, ethics and the science of cloning with a psychoanalyst, bioethicist and scholar of Victorian culture. Iddo Netanyahu’s play A Happy End follows a Jewish physicist, head of the atomic lab at the University of Berlin, through the arduous decision of whether to leave Germany in 1932. Following the reading, Netanyahu will talk with scientist, playwright, and Nobel Laureate Roald Hoffmann. Nobel Laureate Harold Varmus, MD, talks with the artist Lauren Redniss about science, art, process, discovery, and the current New York Public Library exhibition of Redniss’s new book – Radioactive: Marie & Pierre Curie, A Tale of Love and Fallout. South Court Auditorium, Steven A. Schwarzman Building, Fifth Ave. and 42nd St.
How can art and science be taught together in the university classroom? In this lively discussion, presented in affiliation with the College Art Association, panelists will present examples of best practices in the field. Co-sponsored by Science & the Arts and the Leonardo Education and Art Forum. Creationism in the Classroom? View a screening of this new documentary, followed by a panel discussion. The film argues why science education is crucial in a healthy democracy, and documents the ongoing struggle to keep pseudo-science out of the science classroom. Based on a true story. A concentration camp prisoner is kept alive by the Nazis because he has invented the world’s first hand-held four function calculator. What will happen when he completes the invention and he becomes dispensable? This riveting new play by Kenneth Lin will be read by the acting company Break A Leg Productions. The Civilians, a New York-based theater company, creates original work derived from investigations into the world beyond the theater. Hear excerpts from their new play-with-music, The Great Immensity, exploring the themes of climate change, deforestation and extinction. Did you know that everything you see, touch, hear, smell, and taste makes up only 4 percent of what is actually out there? The rest of the universe is completely unknown, or “dark”, and scientists have been working rigorously to determine what’s out there. Richard Panek will speak about his new book The Four Percent Universe: Dark Matter, Dark Energy, and the Race to Discover the Rest of Reality. No reservations. First come, first seated. Co-sponsored by the Center for Women and Society, the Ph.D. Program in English, and the Center for the Humanities. A screening of Creation, a film about Charles Darwin’s personal and religious struggles to finish his legendary book “On the Origin of Species.” The screening will be followed by a discussion with Randal Keynes, Darwin’s great great grandson and biographer, and the eminent biologists Sean B Carroll and Cliff Tabin, moderated by science writer Carl Zimmer. Expected appearance by film director Jon Amiel. Shown in collaboration with the Imagine Science Film Festival and the Science & Entertainment Exchange of the National Academy of Sciences.Wednesday, Oct 20, 7:00 PM, Elebash Recital HallNo reservations. First come, first seated. A reading of selections from the play Copenhagen and a discussion by scientists and historians. Reading performed by Break A Leg Productions. Copenhagen is a Tony-award winning play by Michael Frayn, based around an event that occurred in Copenhagen in 1941, at a meeting between the physicists Niels Bohr and Werner Heisenberg.Friday, November 12, 6:30 PMElebash Recital HallNo reservations. First come, first seated. How do we look at art? Fast, slow, in detail or in its entirety? Scientists have developed a tool that tracks the movement of a person’s eyes. In this special event, which focuses on the examination of a painting by Vasily Kandinsky, eye tracking will be looked at from many perspectives. Segal TheatreThe Eyetracking Forum, which was inspired by the Kandinsky retrospective at the Solomon R. Guggenheim Museum, examined eyetracking technology from the perspectives of art, psychology and data visualization. It can be viewed at the CUNY YouTube channel here. Why are science and technology still considered predominantly male professions? In her new book, The Madame Curie Complex: The Hidden History of Women in Science, Julie Des Jardins provides historical context and unexpected revelations about women’s contributions to the sciences. Co-sponsored by The Feminist Press and the Martin E. Segal Theatre Center. No reservations. First come, first seated.Julie Des Jardin’s presentation on her new book The Madame Curie Complex: The Hidden History of Women in Science can be viewed here at the C-SPAN2 Book TV site. MacArthur Fellow Elizabeth Streb has been testing the potential of the human body since childhood. Can she fly? Can she run up walls? Can she break through glass? How fast can she go? In her new book Streb: How to Become an Extreme Action Hero, she conveys how she developed a form of movement that’s more NASCAR than modern dance, more boxing than ballet. A man living alone in the devastated world of 2055 watches archive footage from 2008 and asks, “Why didn’t we stop climate change?” See the film about global warming, set in the future, when our era appears to be “The Age of Stupid.” After the screening, hear a response from Dr. Charles Vorosmarty, Director of the CUNY Environmental Cross-Roads Initiative. You may read about Dr. Vorosmarty here and hear him discuss water resources here. Science and art — what’s the attraction? Join us for fascinating conversations with artists and science writers. – Arthur Giron, playwright, author of “Flight,” “Moving Bodies,” “Emilie’s Voltaire,” and other plays dealing with scientific themes, in conversation with Mariette DiChristina, Scientific American executive editor. – Justine Cooper, visual artist, creator of “Saved by Science,” “Havidol,” and other works of art inspired by science, in conversation with Lee Hotz, Wall Street Journal columnist. This season, Science & the Arts has focused primarily on the Manhattan Project, the program to develop nuclear weapons during World War II. Our events were presented in collaboration with the Metropolitan Opera, which presented John Adams’ new opera Doctor Atomic this fall. In addition to a remarkable slate of speakers — including Nobel Laureates and Pulitzer Prize winners — we had over 10 octogenarian and nonagenarian scientists who were active participants in the Manhattan Project, making this an event of historic importance. Photographers Rachel Fermi (granddaughter of the physicist Enrico Fermi) and Esther Samra curate an exhibition of photographs from the secret world of the Manhattan Project. Included are images of scientific experiments and their consequences, as well official portraits and casual snapshots. Did the Allies Know That The Germans Were Not Building an Atomic Bomb? Learn about the scientific problems the women of the Manhattan project helped to solve as well as the discrimination they faced in their work. How did they cope with their abrupt recruitment and with everyday life in the clandestine, improvised communities? What happened to them after the war? In a dusty, remote community of secretly constructed buildings and awesome possibility, the world’s most brilliant minds have come together. In Kanon’s bestselling novel, set in Los Alamos, there also resides an unraveler of human secrets – a man in search of a killer. In the dramatic and fateful confrontation between Einstein’s protégé, Leo Szilard, and Truman’s mentor, Jimmy Byrnes, science battles politics in the timeless struggle against the corruption of human ingenuity. Sound and video from new media artist Andrea Polli (you heard her on NPR’s Studio 360) and a preview of Terra Nova: Sinfonia Antarctica by Paul D. Miller aka DJ Spooky That Subliminal Kid. Both artists had residencies in Antarctica. Featuring Dr. Karen St.Germain, NOAA’s Division Chief for the next generation of polar-orbiting environmental satellites, which will monitor the earth’s weather, atmosphere, oceans, land, and near-space environment. What is the explanation for our love of music, rhythm and dance? In this evening of erudition and performance, Columbia University neuroscientists Dave Sulzer (a.k.a. composer Dave Soldier) and John Krakauer will discuss the brain activity that makes us groove to the beat of music. Krakauer co-directs the Motor Performance Laboratory and Soldier investigates synaptic connections that underlie memory, learning and behavior. Featuring the premiere of Soldier’s “Trio for percussion and brain waves,” a live performance/experiment with drummers and electroencephalographs. The Olympic aquatics pavilion in Beijing resembles a box of bubbles. This extraordinary structure and the feat of engineering required to build it will be discussed by Denis Weaire, physics professor at Trinity College Dublin, who first observed the efficiency of bubble structures. He’ll be joined by Daniel Brodkin, a principal in the New York office of the engineering firm Arup, famous for their design contributions to some of the greatest buildings of our times. Liz Lerman, choreographer, believes in the power of art to enhance civic dialogue. Her new dance/theater piece, Ferocious Beauty: Genome, investigates the implications of genetic research. Among her collaborators in creating the work was Bonnie Bassler, renowned Princeton University microbiologist, who will join her in a dialogue. The talk will be illustrated with video segments, providing a preview of the dance piece before its first performance in the New York area. 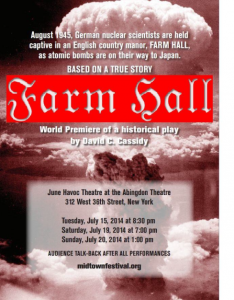 A play reading about the moral dilemmas surrounding the building of The Bomb, written by French actor Olivier Treiner and his father, physicist Jacques Treiner, who will be present at the performance. How did American scientists wrestle with their concerns about the use of atomic weaponry? How did German scientists react to the bomb that leveled Hiroshima? The play, based in part on actual transcripts of conversations, delves into these complex issues. Reading by Break A Leg Productions. From space travel and genetic engineering to global warming, science is portrayed on movie screens with fact and fantasy, and scientists are heroes, nerds, and villains. Sidney Perkowitz, Charles Howard Candler Professor of Physics at Emory University and author of the new book Hollywood Science, discusses the portrayal of science in films, from science fiction to scientific biographies and documentaries, and screens some examples. Who deserves the Nobel Prize for the discovery of oxygen? Three scientists — Lavoisier, Priestley, and Scheele — lay claim to the prize in this play, written by two renowned chemists, Carl Djerassi and Roald Hoffmann. The play, which takes place in both 1777 and 2001, examines the nature of discovery and the desire for recognition that motivated scientists then as now. Reading by Break A Leg Productions. This event is FIRST COME, FIRST SEATED. Berne, Switzerland, 1905: Einstein is a modest patent clerk in a new marriage, struggling to make ends meet while in the back of his mind re-conceiving time! This brilliant new stage adaptation by Wesley Savick of Alan Lightman’s internationally acclaimed novel Einstein’s Dreams will be performed by Boston’s Underground Railway Theater. 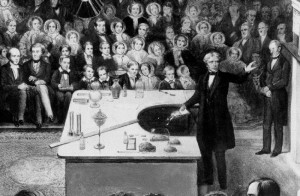 The play, an inventive, poetic and charming work, was the inaugural event in a collaboration between the Massachusetts Institute of Technology and the Underground Railway Theater, conceived to develop new plays about science. The performances will be followed by informal discussions with guest writers. Lightman’s novel Einstein’s Dreams was an international bestseller and has been translated into thirty languages. Both a distinguished physicist and an accomplished novelist, Lightman was the first professor at MIT to receive a joint appointment in the sciences and the humanities. Isaacson is President of the Aspen Institute. He has been Chairman of CNN and the editor of Time Magazine. 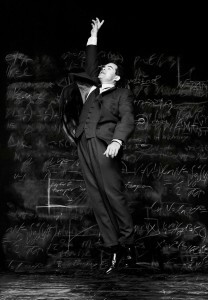 He is the author of Einstein: His Life and Universe. INovelist Lightman returns for a second discussion. Co-author of Einstein as Myth and Muse, published by Cambridge University Press. For 22 years Dr. Friedman served as Director of the New York Hall of Science, New York City’s public science-technology center. The plays ICSI and Taboos dramatize — with wit — the social transformations and contested viewpoints created by advances in reproductive science. Readings from the plays will be performed by the theater company Break a Leg Productions. Playwright Carl Djerassi is “the father of The Pill” (he was awarded the National Medal of Science for the first synthesis of an oral contraceptive) and has had a prolific additional career as a writer of fiction and plays about science. Produced by Redshift Productions in collaboration with Science & the Arts. Thirty-seven years have passed since the closing of Coney Island’s world-renowned Parachute Jump ride. In 2006 the 277-foot structure was illuminated by Leni Schwendinger and her firm, Light Projects. Colored light transforms the filigreed steel Parachute Jump framework into a shimmering icon for Coney Island and all of Brooklyn. With designer Leni Schwendinger, Martin Maher, Brooklyn Chief of Staff, NYC Department of Parks & Recreation, and Peter Jacobson, Lighting Specialist, Con Edison. The Pari Center for New Learning, located in a quiet hilltop village in Italy, fosters an interdisciplinary approach linking science, the arts, ethics and spirituality. David Peat, author, physicist and philosopher, directs the Center and will speak on the relationship between language, reality and physics. He will ask if science is about what we know about the world, or what we can say about the world. He will also explore the way science and the arts can stimulate and cross fertilize each other. With stand-up comedy from Jena Axelrod. The 1999 science fiction action film, The Matrix, describes a future in which the world we know is actually the Matrix, a simulated reality created by sentient machines in order to subdue and make use of the human population as an energy source. Astrophysicist Neil deGrasse Tyson (American Museum of Natural History) and Corey Powell, Executive Editor at Discover Magazine, will show selected scenes and discuss the science onscreen. and Pulitzer Prize-winning New York Times science reporter, John Noble Wilford, moderated by Brian Schwartz. The popular website, the “Proceedings of the Athanasius Kircher Society,” named after a 17th-century polymath, inspired this evening of the wondrous and the arcane. Featuring ancient automata, extinct languages, curious inventions, and one notable savant. Author Jennifer Ouellette’s The Physics of the Buffyverse uses the characters, concepts and plot lines of the popular television series Buffy the Vampire Slayer to illustrate a wide range of fundamental concepts in the physical sciences: everything from sound, electricity, materials science, and thermodynamics, to concepts of time (and time travel), wormholes, black holes, and string theory. The evening will include demonstrations of the martial art of ju-jitsu. 7276 – Wednesday, March 21, 2007 6:30 PM — no seats left for the 6:30 show. Geometry is a mathematical language of nature and art. It inspires sculptors and painters. Computer animators rely on it. Learn about mathematician Donald Coxeter and the work of contemporary artists who utilize geometry. With Siobhan Roberts, author of King of Infinite Space: Donald Coxeter, The Man Who Saved Geometry and Emmy Award-winning animator Mark Neumann. An entertaining and informative discussion explaining string theory for a general audience. Many scientists feel string theory explains and unifies all of physics. Others feel it is a mathematical exercise that cannot be proven by experiment. All sides of this issue will be revealed. The spirit of Ben Franklin comes alive as lightning bolts and electrical fire dance on the stage and some of Franklin’s most dramatic experiments are recreated using reproductions of eighteenth-century equipment. Join this celebration of Franklin’s 300th birthday with Jim Hardesty, physics historian and scientific instrument maker. Paul Zaloom is a political satirist and puppeteer, but he’s best known as the title character on the award-winning children’s television series Beakman’s World, an irreverent look at science concepts from thermodynamics to the mechanics of flatulence. Beakman’s World will return to TV screens in fall 2006 and Zaloom will reveal the creative process in making science hip and entertaining. A city-wide celebration of science. Click for the full schedule of events. An American student goes to war-torn Yugoslavia to research the life, letters and inventions of the great scientist Nikola Tesla. Bargaining for information, she is drawn into the violence and intrigue ravaging Tesla’s homeland. Celebrate with a vaudeville evening featuring Lynda Williams, the “Physics Chanteuse”(Santa Rosa Junior College), and Bob Friedhoffer, magician and educator. Soft Science is a collection of videos created by artists and scientists, curated by Rachel Mayeri. This unique program includes digital movies by biologists alongside contemporary video art. Rachel Mayeri is a filmmaker and Assistant Professor of Media Studies at Harvey Mudd College, Claremont, CA. Furtive romance, farce, science and buried secrets. Reading of a play by Shelagh Stephenson about ethical choices made in the pursuit of scientific progress. The play flashes between 1799 and 1999, both years of extraordinary medical breakthroughs. What could a stadium-sized bowl of peanuts, a magic tennis ball, shrinking elephants, and a crazed hockey player possibly teach us about nanoscience? Not Too Serious Labs’ production “When Things Get Small” – a departure from your typical science-for-television fare – uses these and other comic inventions to take viewers on a comically corny romp into the real-life quest to create the smallest magnet ever known. View the half-hour film and hear from renowned physicist Ivan Schuller on making physics fun on film. First showing in NYC. A talk by Frank Wilczek, Nobel Prize in Physics in 2004 and Herman Feshbach Professor of Physics, MIT, to celebrate the publication of his new book Fantastic Realities: 49 Mind Journeys and a Trip to Stockholm. Premiere of a new work of concert theater inspired by astrophysics. Music by composer Patrick Grant, who combines live performance with cutting edge technology. Narration by Dr. Charles Liu, astronomer on the faculty of College of Staten Island, CUNY. An evening of presentations on the controversial movement. What is the history of the movement? What are its scientific claims? What impact will it have on our schools? Hear speakers from the fields of science, journalism, theology, and law. Co-organized by Science & the Arts and the Center for Inquiry. Supported in part by the Albert and Lin Bildner Foundation. James E. Darnell, molecular biologist, who’ll address the scientific strength of the theory of evolution. Linda Froschauer, Middle school science teacher and President-elect of the National Science Teachers Association (NSTA). Moderator: Austin Dacey, The Center for Inquiry. Why does popcorn pop and cotton candy spin? Savor science demonstrations while enjoying the fun of your neighborhood street fair! See science magic tricks. Have your photo taken with “Albert Einstein.” Enjoy hands-on experiments.Saturday, June 17, 11 am-6 pm – Third Avenue between 12th and 13th St. Performance of a new work in progress — concert theater inspired by astrophysics. Music by composer Patrick Grant, who combines live performance with cutting edge technology. Narration by Dr. Charles Liu, astronomer on the faculty of College of Staten Island, CUNY. A reading of a new play on the life and times of Alan Turing, code breaker and father of artificial intelligence. British writer and fantasist Snoo Wilson explores Turing’s chaotic and creative life through the eyes of his teddy bear, Porgy. “A humorous, smart and moving piece of theatre.” The Washington Post, July 2005. The surface of an orange is a sphere—what is the opposite of a sphere? The answer is a hyperbolic surface. Confused? Mathematicians Daina Tamina and David Henderson will explain the concept and share their exciting discovery that crocheting is an excellent means of modeling and understanding hyperbolic surfaces, and for exploring the ruffles of lettuce leaves and sea slugs, exponential growth, and potential shapes of the physical universe. Staged reading of a play by Kate Aspengren. Should women be astronauts? The play leapfrogs through time and includes testimony from Congressional hearings on the subject in 1962. Presented by Break A Leg Productions. A talk by Corey S. Powell. Corey S. Powell, Senior Editor, Discover magazine; author, God in the Equation: How Einstein Became the Prophet of the New Religious Era. Do you have an idea that you have been thinking about, something that you really want to share with others? Here is your chance to have your ideas engaged with others. Or just come to hear what others are thinking. In the tradition of great intellectual programming at The Graduate Center, CUNY, we invite you to join faculty and students in our Idea Café. Each week will have a theme. You will have a chance to sign up for your short presentation and then be joined by all others in dialogue. Beverages and light food will be available for purchase from the Café. — We welcome people from outside CUNY, but we will give first priority to CUNY-associated speakers. — We welcome any kind of presentation on that evening’s topic, limited to 5 minutes. A performance featuring award-winning science writer Dava Sobel and the early music ensemble, Galileo’s Daughters (Sarah Pillow, soprano; Mary Anne Ballard, viola da gamba). With Ronn McFarlane, lute (as Vincenzo Galilei). Dava Sobel will weave stories of science history with the music of the period. Dava Sobel, author, Longitude, Galileo’s Daughter, and The Planets. Nobel Laureate chemist Roald Hoffmann and the dancers and drummers of Samba New York! celebrate Carnaval in Rio. Frederick Seitz, Former President of the Rockefeller University and Colleague of Einstein at Princeton, and William T Golden, Architect of U.S. science policy, the National Science Foundation and the President’s Science Advisory Committee. Walter Wick, co-author of the best-selling I Spy and author of Can You See What I See?, has been entertaining and engaging children for years with his photographs and books. In this interactive slide show, he will offer a behind-the scenes look at the games, puzzles, science, and illusions that have made his books such a phenomenal success. Free and appropriate for families. Corey S. Powell, Senior Editor, Discover MagazineStaged reading of the full length play Moving Bodies by playwright Arthur Giron. 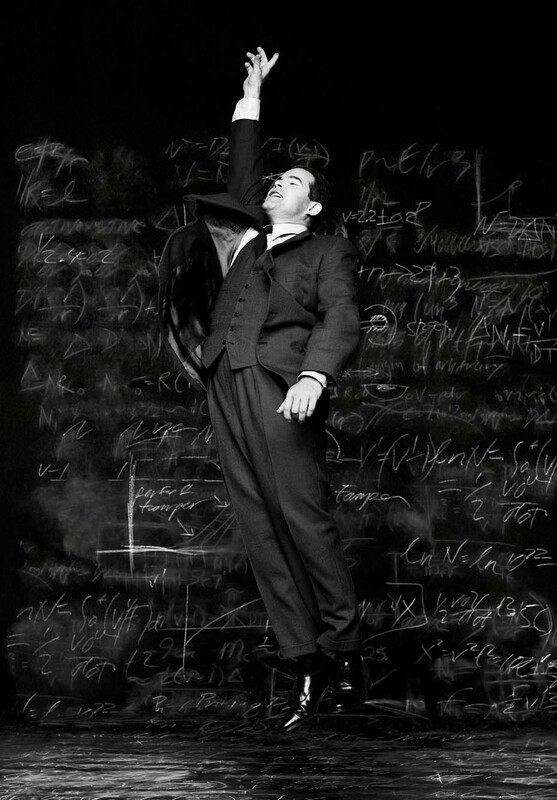 The play dramatizes the biography of Richard Feynman, considered one of the greatest scientific minds (second to Einstein) of the twentieth century. The year 2005 will mark the 100th anniversary of Albert Einstein’s Annus Mirabilis (Miracle Year) of 1905 in which he published three seminal papers which changed the nature of 20th century physics: the Special Theory of Relativity; the Theory of Brownian Motion; and the Theory of the Photoelectric Effect. (Note that Einstein received the Nobel Prize in Physics in 1921 “for his discovery of the law of the photoelectric effect.”)Cost: $10 for each lecture, or $45 for the series of five lectures. All lectures will be held in Room 4102 of the CUNY Graduate Center. 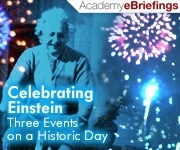 An Overview of the Life of Einstein and his Impact. Historical perspectives on science, magic and theatre in New York City. Media innovators present and discuss their work. Play about the meeting of Thomas Jefferson and Alexander von Humboldt. Choral and instrumental music inspired by Humboldt. Growing public awareness of genomic issues has been accompanied by fascination, excitement, confusion, and skepticism. Genomic Issue(s) features the works of artists who are exploring the rapidly changing genetic landscape of the twenty-first century. In an age of increasing specialization and complexity, artists play an important role in expanding public dialog by creating images that help to demystify and interpret the language, images, business, and implications of genomic science. The works on display raise questions about the relationships between art, science and society, and suggest a broad range of issues to be navigated ¬â¬€ˆ£ economic, legal, ethical, intellectual, and spiritual ¬â¬€ˆ£ in the rapidly expanding field of genomic research. Thread of Life is a riveting new play about the role of Rosalind Franklin in the discovery of the structure of DNA. Written by Rita Nachtmann. Performed by Break-A-Leg Productions. Courtesy of the Ensemble Studio Theatre/Sloan Project. World Premiere of a Concert Reading of an Original Musical Play “Einstein’s Dreams”; Based on the novel Einstein’s Dreams by Alan Lightman; Book and lyricist, Joanne Sydney Lessner; Composer and co-lyricist, Joshua Rosenblum Produced by Brian Schwartz, Associate producer, Linda Merman Sponsored by the Science Center and the Martin E. Segal Theatre Center of the Graduate Center of the City University of New York. An “Open Dress Rehearsal” at 3 PM in the same venue and date. For tickets contact (212) 817-8215. The ground-breaking writing and composing team of Joanne Sydney Lessner and Joshua Rosenblum have created an original musical adaptation of Alan Lightman’s captivating and enchanting novel Einstein’s Dreams. Lightman’s novel caused a literary sensation when it was published in 1994, with one critic calling it “a brilliant novel of time in its marvelous flight. . . gorgeous in its writing, spellbinding and profound in its effects.” Lessner and Rosenblum, the authors of the cult hit musical Fermat’s Last Tango, weave Lightman’s ingenious fantasy vignettes about the nature of time into an infectious musical tapestry that revolves around Einstein himself and a compelling, elusive, beautiful woman who haunts his dreams. This provocative but lighthearted new work of musical theater is guaranteed to stimulate, move and entertain. No physics background required. This entry was posted in Past Events on June 5, 2014 by Christopher Silsby.